Product categories of PVC Edge, we are specialized manufacturers from China, PVC Edge, PVC Edge Banding suppliers/factory, wholesale high-quality products of Molding Pvc Edge R & D and manufacturing, we have the perfect after-sales service and technical support. Look forward to your cooperation! PVC Edge is the material that protects, decorates, beautifies to the section of furniture plank material, it can make a furniture show the integral effect that wood grain is clear, colour profusion.PVC Edge has many advantages,it`s very light,it is made of plastic, which is easy to process.In addition to this,PVC Edge is of high quality and low price. 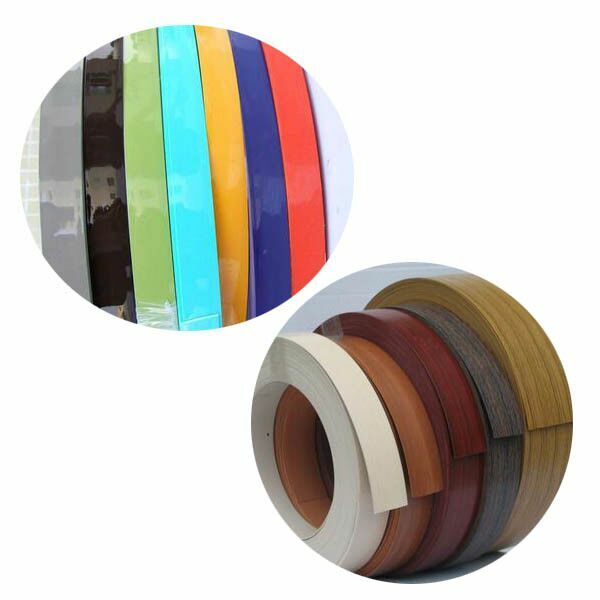 The main function of the PVC Edge is a section of sheet enclosed, from environmental and use of adverse factors in the process of damage to the plate and block plank interior formaldehyde volatilizes, at the same time to achieve the effect of beautiful decoration.Luli Group Co,. LTD can produce large quantities of high quality PVC Edge every year and export them to many countries.